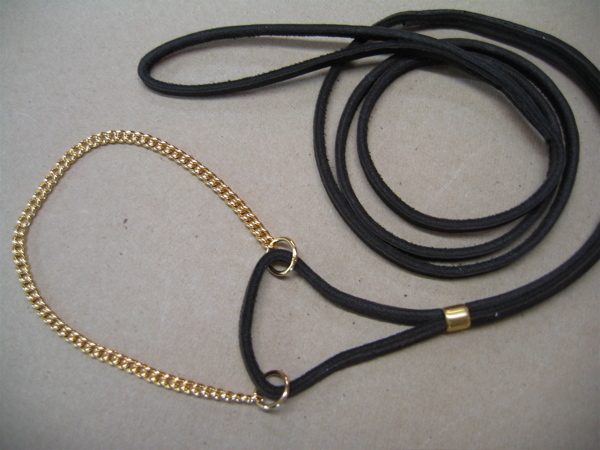 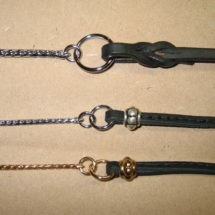 Cowhide Leather with Silver or Brass Slide Bead. 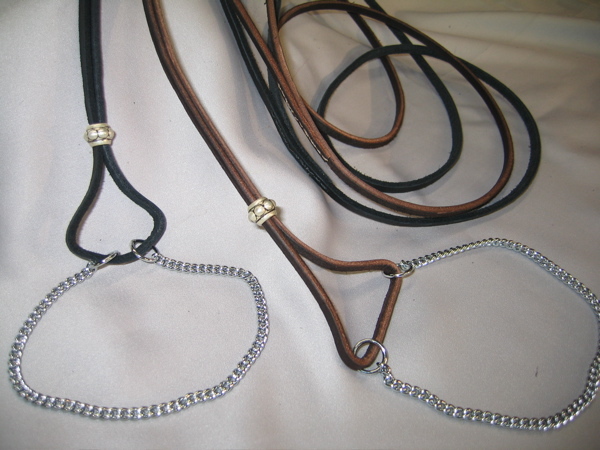 10″ Chain~Fits Breeds with 11″ to 12″ Necks. 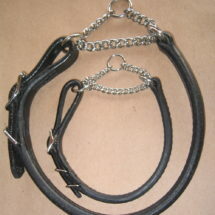 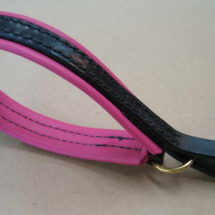 12″ Chain~Fits Breeds with 13″ to 14″ Necks.